Fatstick head honcho Reuben May and family recently upped sticks and shot off down to the south west corner of France for a spot of stand up paddle action. 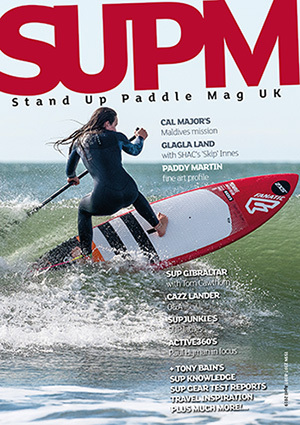 A firm favourite with surfers for many years it’s now gaining popularity with the SUP brigade. Reuben sent this spot guide for anyone considering a similar trip. 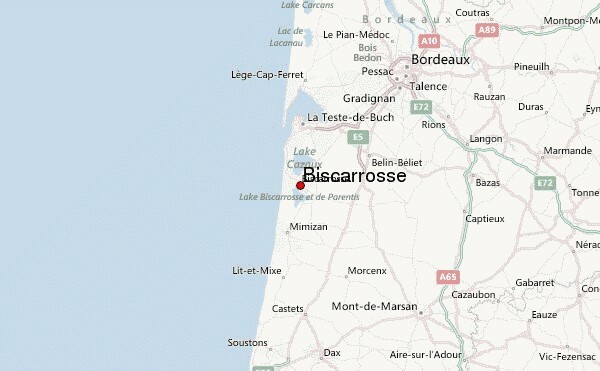 Located 65 km southwest of Bordeaux, Biscarrose is a small leafy town situated on the Atlantic coast of France. The magic thing about this place is that is doesn’t just have world-class waves crashing on the shorelines of the west facing beaches of the town, but it also has a huge 35 km² fresh water lake just ten minutes’ drive inland. This makes Biscarrose perfect for us SUP lovers; you can surf the groomed offshore swell in the mornings, then go to the lake for some flat water action in the afternoons when the sea breeze kicks in. France is known for its great consistent surf and this trip did not disappoint. The beach at Biscarrose is huge and there are sandbars working the whole way along, through all tides. Low water tended to produce fast, punchy, peeling barrels. High tide was a fatter wave, more something we would be accustomed to here in the UK. Paddling out on my FatStick SUP, I was aware how the line-up would receive me, being foreign and on a paddle board. I needn’t have worried though. The guys out on the water prone surfing were super friendly the whole ten days and would often cheer me into waves. I was surprised how big the SUP scene was out there; there were a few other paddlers out on the water enjoying both the waves and the flat water lake. The beach at Biscarrose is suitable for all abilities, though on bigger swells I would recommend beginners stay inside and surf the white water. Smaller days are great to learn to surf on a SUP with punchy peeling little waves and channels allowing easy paddle outs. 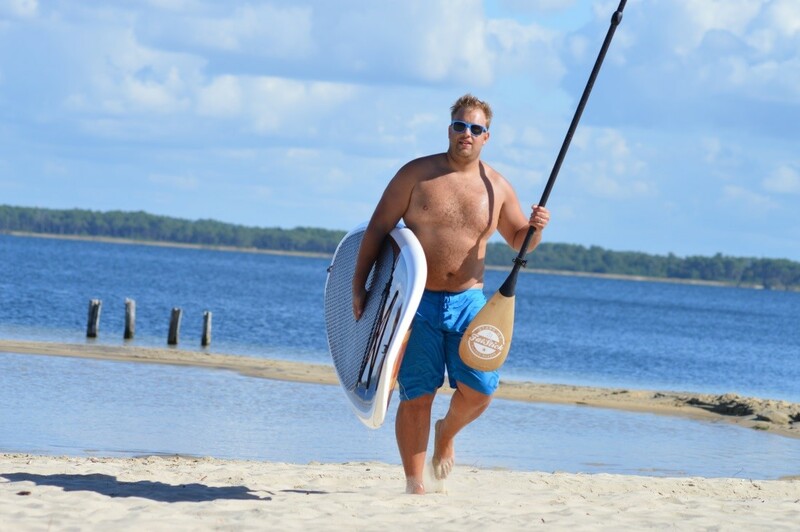 I took my FatStick 11ft Wooden Menace with Fatstick carbon/bamboo adjustable paddle. The adjustable paddle allowed me to have a smaller shaft length when surfing and a larger length when cruising on the flat water lake. In terms of the board the Wooden Menace is pretty drawn-in at the nose and tail, making it good for charging down the line of the fast waves and racing the lip. 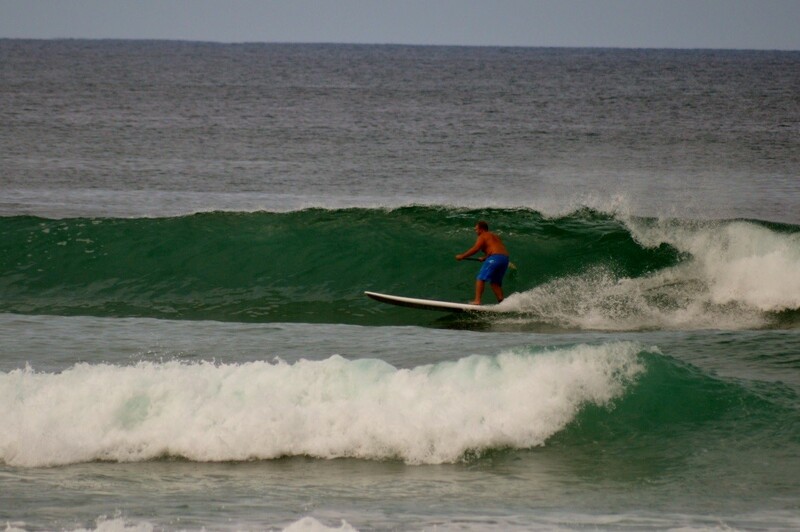 The length aided me to get on the wave early, which was a good thing as the drop is really steep at times. Most people will probably take a shorter board, but I’m a heavy chap who likes a nice bit of buoyancy under me. I ended up wearing two leashes, having snapped two when wiping out in the powerful waves. Both times I had to swim in through the deep channel but there was always a nice French surf dude holding my board for me on the beach when I managed to eventually swim back in! 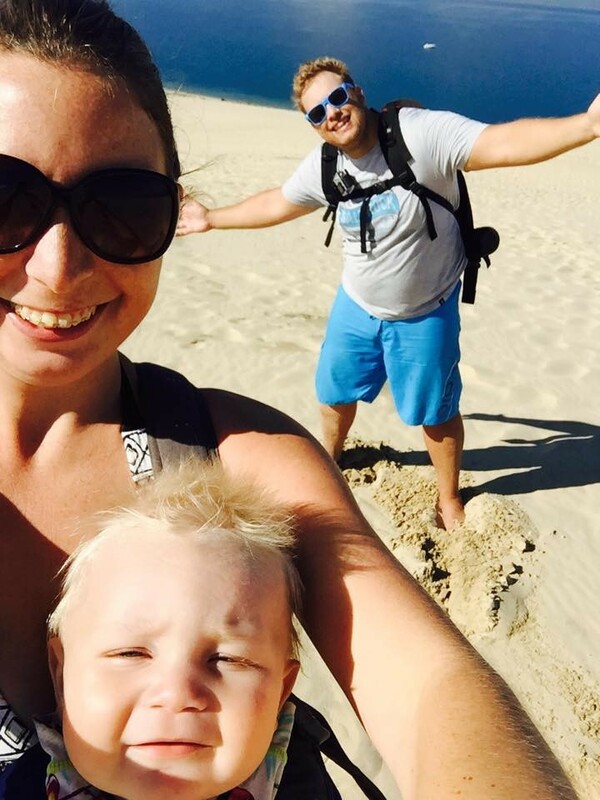 Afternoons at the lake were beautiful and we spent time lazing on the golden beaches and paddling around the crystal clear water with the family. 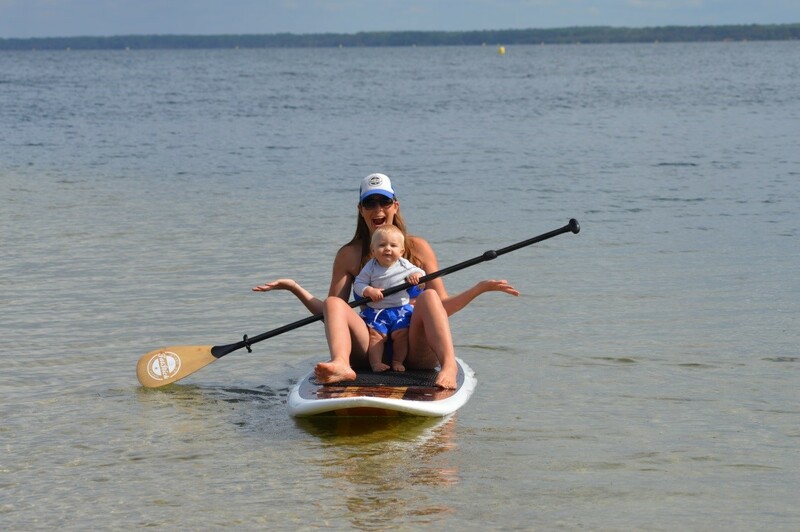 The glassy water with long shallow coastlines was perfect for my little one to paddle in the water and have his first taste of stand up paddle boarding whilst my wife held him on the board. There is so much potential with the lake, and a local even told me he regularly spots small but ridable waves at certain locations when the time is right. There are also many little inlets and harbours where you can leave the main lake and paddle on a little adventure whilst the stunning scenery passes you by. I can’t emphasis enough how great this lake is for beginners or advanced paddlers to increase their board skills. 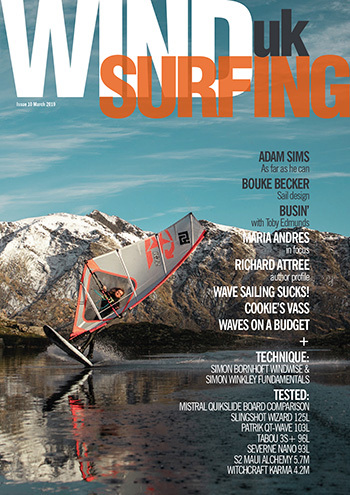 The whole west coast of France is lined with beaches and rocky coves that pick up plenty of swell. North and South of Bisscarrose there are many more well-known and less-known surf spots if you wish to do some exploring. 15km North of Bisscarrose is Dune de Playa. This is the largest sand dune in Europe. It is literally a sand mountain sticking out from nowhere. On a flat day this is the perfect place to go for a hike, do some sand boarding or try some paragliding. I also noticed a series of islands off the dune that could be paddled too if you are fairly fit and took care to research the local winds and tides for that day. We chose the overnight ferry from Portsmouth to Le Harve and then drove the eight hours down to the Southwest of France. The roads are very well kept and there was little traffic, the only downer was the €65 of tolls that you have to pay each way, but guess you can’t have it all! There are lots of accommodation options, but the French holiday parks are great offering pitches, caravans, or wooden lodges. We went for the latter option as we didn’t fancy camping with a seven month old baby. The town is clean, well-kept, and had a small high street with plenty of shops, cafés and restaurants to keep you busy in the evenings. 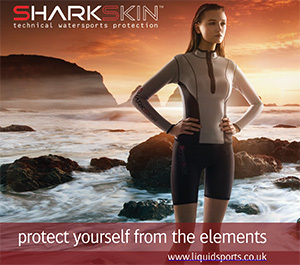 There are also many well stocked surf shops and board hire facilities should you require any kit.